Sir Ian McKellen and Patrick Stewart in “Waiting for Godot.” Gandalf/Magneto with Picard/Xavier?! I’d sit and wait all day on a park bench to see that. 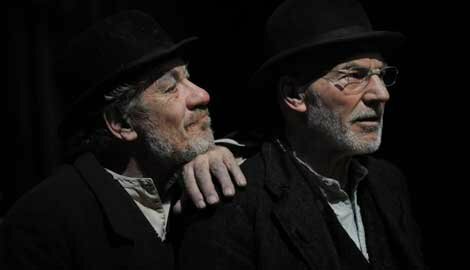 Samuel Beckett’s play, Waiting for Godot, can lay claim a surplus of meaning. Ostensibly a narrative about two men waiting for the arrival of a third, one can find within its lines a discussion of anything from psychology to politics, and certainly it can be read towards a criticism of religious faith. In the wait for a man who never arrives, it is possible to see an indictment of a God who never quite arrives (although it is only in English translation that a connection between the words Godot and God is apparent. It doesn’t work so well with the original French Dieu). The play ends with a deferral of Godot’s arrival—perhaps he will come tomorrow, the men muse. In any case, this play about waiting has been on my mind as I pray my way through Advent, waiting for the coming of a messiah. And I do this while at the same time waiting to hear whether a conference proposal of mine has been accepted. And while I wait for the NFL playoff picture to solidify. And while I wait for my son to be potty-trained. And it’s commonplace to say that it’s become difficult to wait for Christmas because we don’t actually wait. With lights and trees up and “Hark the Herald Angels Sing” in the air, we announce Christmas as if it’s arrived. Upon hearing, “Merry Christmas!” in early December, we glance up from deep beneath our Christmas sweaters, hot cocoa, and wrapping paper, and remain almost oblivious to the still empty doorway. It’s not here yet. He’s not here yet. And no doubt much can be said about our collective impatience and about our inability to defer gratification—but it will not be said here. Rather, I wonder if there isn’t another, perhaps more fundamental, challenge I have to confront before I might come face to face with Emmanuel, with God with us. Here’s my thought: I am concerned that I will not allow what I wait for to ever actually come. I can count down the time—to the second—between this moment and Christmas. I’ve been to Christmas Mass many times before and (language changes notwithstanding) I know more or less what to expect. I’ve gone through the ritual watching of It’s a Wonderful Life, A Christmas Carol, and Elf often enough that I whisper the lines to the actors before they themselves say them, like some a-temporal on-set script assistant. The rhythm of the day—presents, food, family—will proceed like many before. That consistency is as much a part of the holiday comfort as warm blankets and a crackling fire. I embrace it. And to a degree, I believe that I am right to do so. The problem is not in these comforts, per se, but in the concrete way that I approach them as expected rather than as gifts. In knowing what is coming—in anticipating it all down to the taste of familiar celebratory foods—I wonder if I do not, in some way, numb myself to an inbreaking of grace and render myself unable to welcome God with us. 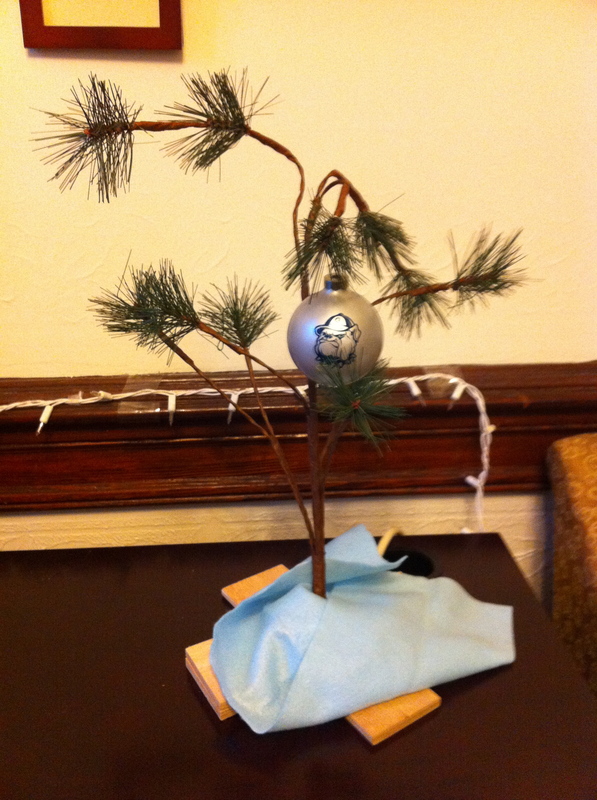 An office at Georgetown University has displayed a “replica” of the pitiable Christmas tree from A Charlie Brown Christmas. In the story, the tree represents a turn away from a mass produced celebration—fake trees, selfishness, superficiality—toward what “Christmas is all about”—which Linus presents by reciting the infancy narrative from Luke’s Gospel. This small and sickly tree becomes, for the Peanuts gang, a symbol of finding God in unexpected ways, in turning away from what they imagine Christmas is supposed to be and accepting the gifted reality before them. And yet now even this message comes to me in a predictable way. 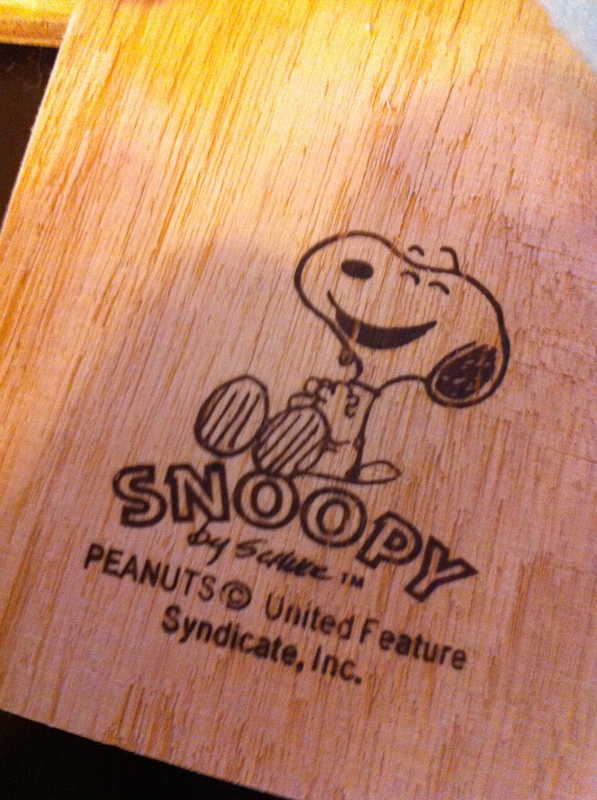 The mass produced, officially licensed, replica of the tree stood there on a desk, and looked exactly as I expected it would… to the extent that I originally noticed it only to comment about how great it was that they had an “exact replica” of the animated tree. And thus only as part of my normal Christmas tradition of watching the TV special. What was to help me see Christmas in a new way has become a commodified banality. Has Christmas become so comfortingly predictable that I blur the line between my anticipation of it and my experience of it to the point that the actual arrival of the celebration marks, not the beginning of Christmastide, but the exhausted end of the titillating expectation? In waiting for something that I know, and know well, do I prevent its actual arrival—allowing it to come only as I anticipate it will, allowing only what is “supposed” to be there to appear to me? I have already constructed the mental, emotional, and spiritual structures by which I will welcome my God. And I wonder if in already knowing how I will celebrate, does my day simply conform to my expectations, never daring—on such sacred of a day—to deviate from what I confidently know the day to be? Not that an inbreaking of something altogether new is impossible (for I am reminded by Luke that nothing is impossible with God) but just that I may not be able to see it. To receive the gift of God with us, I need to be waiting for whatever God offers, not for those things that are supposed to be there according to my own expectations. My concern is that without being open to it, I may not be able to be surprised by God with us. To the degree that this is the case, do I only look for my God where I expect him to be? Perhaps the great minds and spiritual leaders of old had their messianic expectations shattered by the unpredictable coming of Jesus Christ, but certainly by now, some two thousand years later, I know enough to say with confidence that I know how to look to see my God. The great fear that must have struck the shepherds at the appearance of the heavenly host seems quaint and precious. Even the appearance of a divine messenger fails to shock me: of course the angels appear… just like the ones we sing about and the ones that decorate my tree. I can prepare myself accordingly for the inbreaking of my God. And yet this God that comes to me conforming to my expectations can never be God at all, but only a projection of my hopes, fears, and my own ideas of divinity. The mask that this God wears is all the more convincing as it matches well the stories of old. My God, too, was born of a virgin in Bethlehem. He, too, was wrapped in swaddling clothes. But my God begins and ends with me and what I have come to understand—to know—Christmas to be. This God comes to me as I anticipate, following the well worn path to the comforts of the day, arriving in the manger as I know he will. Unlike the wise men, I need no star to guide my way to unknown people in an unknown place. I know where I am going and I know what I will find. And so I wonder, then, if I will even bother to make the long and arduous journey to see God with us face to face? Christmas may never come if I only allow it to come as a fulfillment of my limited expectations rather than as a fulfillment of all that God has ready for me. If it will only come as I know it will, then what will mark its coming? What will differentiate the 25th itself from all I expect the 25th to be? What will differentiate my waiting for God and the true presence of God with us? If I am trying to welcome he who is always already radically new, my expectations are bound to disappoint. How could they not? And so, this Advent, I wait for my God to come—to come according to my anticipation. The 25th will undoubtedly come and go. But must the arrival of God with us be deferred? Or perhaps the impossible might be possible with God: that in opening ourselves in prayer, we will be ready to receive that which we cannot conceive, to hold that which we cannot grasp, to love he who is love. Wonderful post Andrew. Thank you for your thoughts. It pushes us past what we think we know to the Word that wishes to be truly heard.